Though it’s been about a year since Google first announced the eventual move to a mobile-first index, Google has been limited in the insight they’ve given. Recently, Google executive John Mueller offered some information about how the mobile-first index will work and what we, as both consumers and digital marketers, can expect from the shift. Mueller divulged that indeed, Google will be notifying users when their site has been moved to the mobile-first index. You can find this information in Google’s Search Console, though it isn’t available yet. 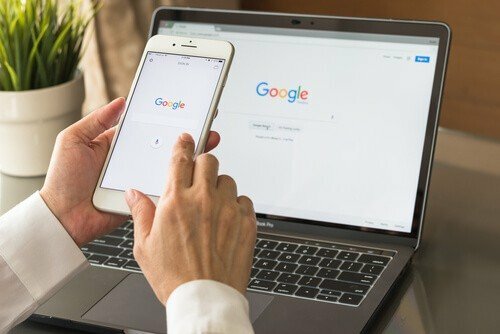 You may have noticed an increase in crawling from Google’s mobile bot or possibly a drop in desktop activity if your site has been moved to mobile-first already. Google claims they will begin with moving sites that are ready for the transition. What exactly does that mean? Websites that are optimized for mobile will be prioritized in this moving process. Mueller spoke to the importance of ensuring any markup you have on your desktop site is also present on the mobile version of your website. Often times, this was overlooked because it was irrelevant at the time but today, Mueller admits it is crucial. Mueller discussed Google’s next steps into what digital marketers can expect from the mobile-first index in the near future. Google will be putting out some blog posts with more information about the mobile-first index to help marketing professionals adjust and make a smooth transition. They plan to switch over a lot more sites in the near future so it is best to keep a close eye on your website and ensure it’s ready. Google says they will also be sending messages through Search Console to notify users when their website has been moved over.